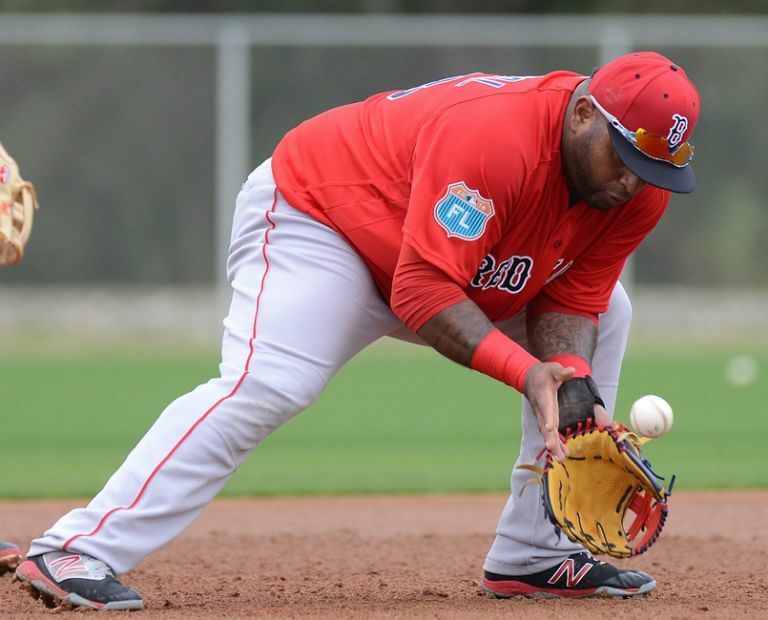 Pablo Sandoval has remained the number one story coming out of Red Sox Spring Training for all the wrong reasons. When he first showed up last month, all of the attention was on his over-sized gut that displayed his unwillingness to address his most glaring issue in the off-season. If anything, he gained more weight. Nine games into the Sox’ Grapefruit League season, all of the concerns about Sandoval appear to be justified. In the six games that he’s played in, he’s 1 for 14 at the plate and has made two errors in eight total chances. On one of those errors he had to rush the play and was unable to get his body into position to make a solid throw to first, which is definitely a problem that results from carrying around too much excess weight. Normally I wouldn’t judge a player so hard on their Spring Training stats, but this guy is in a position where he needs to be proving to us every day that he’s worthy of being our starting third baseman. We already know that he’s not worthy of the $95 million contract the Sox gave him last winter, but it would be nice if he could show us that he’s interested in being a decent baseball player to help his team win. Instead, he continues to give zero shits about his health and it’s causing his performance to decline at a rapid pace. I look for Panda to have an even more miserable season in 2016 and the only question in my mind now is how long it will take for him to get booed at Fenway. I have my money on somewhere within the first two weeks after Opening Day. Previous What Does Big Papi’s Last Season Mean?